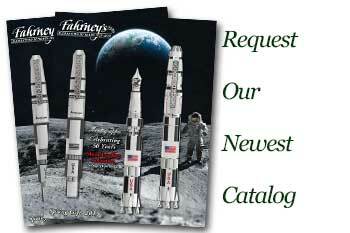 Order your Taccia Covenant Fountain Pen today from FahrneysPens.com. Fine Pens, Refills & Luxurious Gifts – great prices & fast shipping. Since antiquity, covenants have been used as a written agreement of a promise. Taccia embodies this timeless concept into an elegant and intelligent writing instrument. The Covenant fountain pen features a design of smart simplicity – its unique threaded cap houses the full body of the pen, giving it a significant feel while protecting the barrel. Sleek lines, traditional hand-turned resin and art deco accents add vintage appeal to the Covenant. The fountain pen holds a flexible two-tone stainless steel nib mastered in Japan. Choose black, blue marble or brown swirl finish. It an excellent pen for the money as far as I am concerned.